An amazing domestic record and with loads of runs behind him, Cheteshwar Pujara was considered as one of the future stars to play for the Indian cricket team. He not only scored heavily in the domestic scene but also performed incredibly whenever India toured abroad on the A tours. 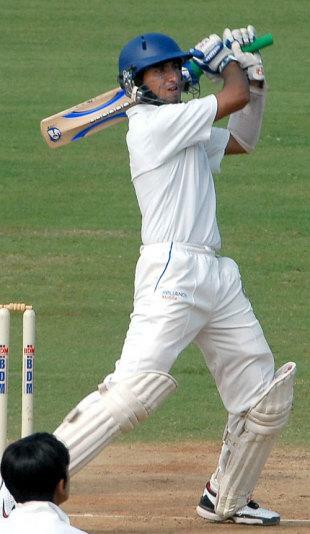 His great technique and concentration was praised by “The Wall” of Indian cricket team Rahul Dravid, who said that Pujara will for sure play for India for a long time. Pujara finally got his chance to prove himself against the Aussies in the home series and he grabbed the opportunity with both hands. He scored a brilliant 70 odd in a fourth innings chase helping India to defeat the Aussies in the second test to seal the series 2-0. Now the problem was that with Indian middle order already sealed where would he fit in? The only vacant spot in the order was taken by Suresh Raina, another Indian youngster who was trying to cement his place at number 6. Suresh Raina though did not do himself any favor by having an indifferent home series against the kiwis. He hardly scored any runs and doubts were being raised about his inclusion in the test team. Raina is an amazing ODI and T20 player but test cricket is not his forte as far as I am concerned. He does not have the technique nor the patience required for the longer format. His technical inadequacy was exposed by the South African bowlers in the first test when he succumbed to tame dismissals in both innings. With India needing to win the second test at Durban to level the series Pujara replaced Raina at number 6. Even though scores of 19 and 10 in two innings does not paint a pretty picture, his innings told us more than the quantity of the runs scored. This guy is here to stay. He looked comfortable during his stay at the crease and the ease with which he handled the pace of Steyn and Morkel was commendable considering this was his first game in South Africa. He is not a suspect against the short pitched bowling which has been the bane of Indian youngsters of the IPL era and he has the required patience to grind when required in test cricket. After trying Yuvraj first and then Raina at the number 6 slot, I guess Pujara needs an extended run at that position. Pujara has the technique to withstand the pressures of International cricket and the runs for sure will come. Finally we have seen a player who does not seem a sitting duck against pace and bounce. This hasn’t happened since the debut of Virendar Sehwag 9 years ago. So we should welcome Pujara with open arms to Indian test team and I am sure that he will serve the country for a long time. I wrote this article 2 years back when Pujara made an impressive debut for India. Pujara still continues to prove that he is head and shoulders above the other youngsters (other than Kohli off-course) with his brilliant performance in West Indies.